A plate from “The Rotifera or Wheel Animalcules” by Hudson & Gosse, as shown on microscopy-uk.org with an article by Ian Walker. The central drawing is of Brachionus Rubens by C. T. Hudson. It is well to be, if not wary, at least prepared for surprises when you go to the library. The building, with its tucked-away corners, wafts of must, and fellow patrons with their pens and power cords and winter coats cascading over tables, is not at all like a computer screen, not lulling in the least. And you can still find things in the library that are unlikely to ever make their way online. Things, I would venture, that you can hold in your hands. Whenever I visit the Toronto Reference Library I think of Timothy Findley’s 1993 novel Headhunter, in which retired librarian Lilah Kemp accidentally sets Kurtz free from page 92 of a copy of Heart of Darkness—and loses him in the stacks at what was then the Metro Toronto Reference Library. First as a Ryerson student and then as a fledgling journalist in the early 90s, I spent many hours at the wooden tables of Metro Ref, scanning the periodical indexes—the ones that used to be made of, you know, paper—and waiting for titles to be retrieved from the stacks. There are now white computer tables smudged with scuffmarks among the library’s décor, as well as glass “study pods” that look as if they could beam you to a faraway planet (a librarian smiled patiently and told me, yes, they hear this joke all the time). But the general feel of the place remains the same: the rock pool continues to trickle, and that sense of opportunity—and slight thrill of danger—when you peer up from the centre of the main floor toward the layers of balconies above has not diminished. Could an escaped Kurtz be lurking among all those books? Totally. Would that we lived in a world where we might not need to pause and raise our eyebrows upon encountering such rich prose in a government-issued document. Bizarre and beautiful is exactly how I’d describe Taylor’s poem, which is as enthralling as that first look at a water droplet’s interior life must have been. 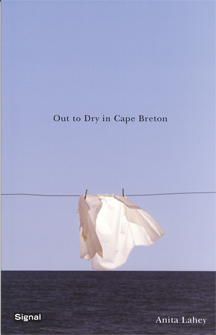 “Little Animals” has now reappeared as a selection in The Best Canadian Poetry in English 2012, the fifth annual edition of what is becoming a staple of the Canadian literary scene. (2) In his introduction to the anthology, guest editor Carmine Starnino says Taylor has “patented a new genre: the meditative cliffhanger. His poems take the shape of an idea or mood clarifying itself in stages, leaving readers on tenterhooks to find out where he’ll go next.” Carmine is right: Taylor’s writing tugs and tugs and won’t let go. But style is only the half of it. There is also the poem’s plot. You could say its meat. In “Little Animals,” Taylor’s narrator doesn’t just take van Leeuwenhoek’s word for it. He collects pondwater himself, with “a long-handled spoon” through a hole in the ice, brings it home and studies the creatures living within. “I have stared at them all week / in my Chinese miscroscope and have tried / to absorb what I saw.” He neglects his life, he confesses, to “spy” on theirs. He is hooked. Obsessed. Lost, yet found. (Bruce Taylor has even made videos of rotifer action. Check out this “Pregnant Bdelloid Rotifer“. Reading Taylor’s poem is as if, with him as guide, you are uncovering some of the most beguiling secrets of the universe. He is writing about discovery itself, and how it can be repeated, and maybe even how it must be. (This may be a sister-truth to that one about how we all must learn from our own mistakes.) Though van Leeuwenhoek discovered the “fairy kingdom beneath the waves” nearly four hundred years ago, if I were to peer down at those creatures through a microscope—though I have fair warning that they are there—I would be nearly as floored he was. Indeed, I was floored to encounter them merely written of in a little booklet at the library. And why shouldn’t I be? How else are we to remember the value of all those drops of water? Our unfathomable carelessness with the lives and futures of all the little (and larger) animals renders Taylor’s poem urgent. It also seems important, morality aside, to simply be gobsmacked once in a while; the human condition calls for it. I don’t know why. But I hope that the scientist who figures this one out writes as well as Hudson & Gosse, and van Leeuwenhoek, and Bruce Taylor. (1) I found Hudson & Gosse, and the quote about van Leeuwenhoek, in “The developmental history of inland-water science” by J.F. Talling, Freshwater Reviews (2008)1, pp119-141, The Freshwater Biological Association. (2)Some of my other favourites in this year’s BCP: Dani Couture’s “Salvage,” a hypnotic portrait of a Great Lakes ship; David O’Meara’s “Background Noise,” which begins with the buzz of a stereo left on and winds up in the cosmos; Rachel Lebowitz’s from Cottonopolis, which is searing in its condemnation but also glorious in its use of language; Laurie D Graham’s “Say Here, Here,” of which I would say the exact same thing, but also that it’s a fantastic use of chant, echoing Al Purdy’s “Say the Names” while leaving that great poem in the dust (not that it’s a competition); and, a poet who is new to me, Changming Yuan, who ends the collection with a thoughtful meditation on waiting (and writing).